River Wars, Episode III: End of the River? When the Modesto Irrigation District (MID) assures its customers there is enough Tuolumne River water to sell 2,000 acre feet per year to the city of San Francisco, knowledgeable citizens can only assume there’s a hidden back story. For one thing, many local farmers have been informed of reduced water allotments. Since their water comes from the Tuolumne River, they can’t help wondering how the claim of excess water can match reality. And the canoeists and kayakers who paddled down the Tuolumne River just last week found the water too shallow in many places to float their boats. They also found the water insufficient for the propagation of native fish species. Most urban ratepayers, on the other hand, have no problem believing there’s plenty of water because as long as they can remember, water exits when they twist the knobs and depress the levers of the faucets in their gardens and homes. And when MID Director Tom Van Groningen assures them a water sale will keep their rates low, that’s all they need to know. It’s therefore no surprise that people have divergent views about how much water the MID has to sell. Fisherman and nature lovers learned long ago they were at the end of the line for water, and farmers are reminded every day that cities come first. What most Valley citizens haven’t yet realized is cities may be first but big cities are first of the first. That’s why close inspection of the MID contract with San Francisco revealed enough holes for river to flow through. The contract looked so bad that the City of Modesto threatened a lawsuit, the Farm Bureau took an official position against the sale, and a citizens group formed both to raise money for litigation and to mount a recall of MID Directors in favor of the sale. Scrutiny of the contract forced a revision, but thus far the revision has satisfied almost no one. The contract is still one-sided in favor of San Francisco, and is most likely to remain so. San Francisco has a long history of exploiting natural resources. Remember, this is the city that in 1962 was well along toward filling in the great Bay that borders it. It might not have been that great a loss, because by 1962 the Bay had been poisoned almost to death. It was only a public outcry and the formation of the, “Save San Francisco Bay Association,” that kept the bay from obliteration, and even today there’s no rest for Bay Area citizens who wish to keep the bay a living resource. The latest threat comes from Cargill, the world’s largest privately held company, which has proposed to build 12,000 houses on salt ponds it owns near Redwood City. A key issue is water, and Cargill has yet to secure enough. One scenario has the water coming all the way from the Kern County Water Agency, where corporate mogul Stewart Resnick owns 48% of a supposedly public water bank. If this scenario suggests there’s no such thing as “surplus water,” it’s because there isn’t. Local citizens no doubt remember the nineties, when Stanislaus County Supervisors and the Modesto Bee were touting Diablo Grande as the “economic engine” that would drive the region to prosperity. Somehow, they overlooked Diablo Grande’s failure to secure enough water even for a down-sized version of the grandiose project. Water supply experts Al Brizzard and Steve Burke were ignored and marginalized when they warned about the shortage and Diablo Grande has dealt with water problems ever since. If projects like Cargill and Diablo Grande can’t find water, how is it that the notion of “surplus water” came about? One way is via, “paper water,” a term used to describe the statewide over-commitment of water contracts. In short, more water is committed state-wide than can be delivered. The result is “paper water;” water that exists on paper only. 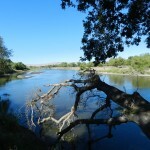 The notion that some regions of California have surplus water is built on dried-up rivers, devastated fisheries, dead wetlands, and a declining San Joaquin Delta. Urban growth in California has long exceeded sustainable limits and it is only through the degradation of the environment and the destruction of agriculture that it can continue. In the case of San Francisco, a city built on shifting sands, infill, and an earthquake fault, there will never be enough water to feed the thirst of developers who from the beginning of the City’s existence realized water was the key to fortunes. Filling the Hetch Hetchy Valley was only one stage in a metastasis that is slowed only by public protests and constant vigilance. But San Francisco is just urban growth writ in skyscrapers and bridges. From 1990 through 2000, 81% of the growth in Stanislaus County was on high quality farmland. Most of this growth was in the form of housing tracts. In Southern California, farmers are selling water in lieu of crops as the megalopolis that is the San Diego region continues to grow beyond the capacity of its resources. While urban growth is the major culprit both in the appropriation of water and the conversion of farms to asphalt and stucco, farmers, fishermen, nature lovers and slow growth advocates have too often split into contending factions, fighting over the water that is left after urban appropriation. The result is a water policy that puts urban growth first and divides opposition into easily defeated factions. Until these factions find common ground, they will continue losing their natural heritage to urban expansion. Today, when motorists drive over the Oakland Bay Bridge to San Francisco, they gaze out on a dazzling blue Bay, but they could just as easily be looking at a sea of houses. 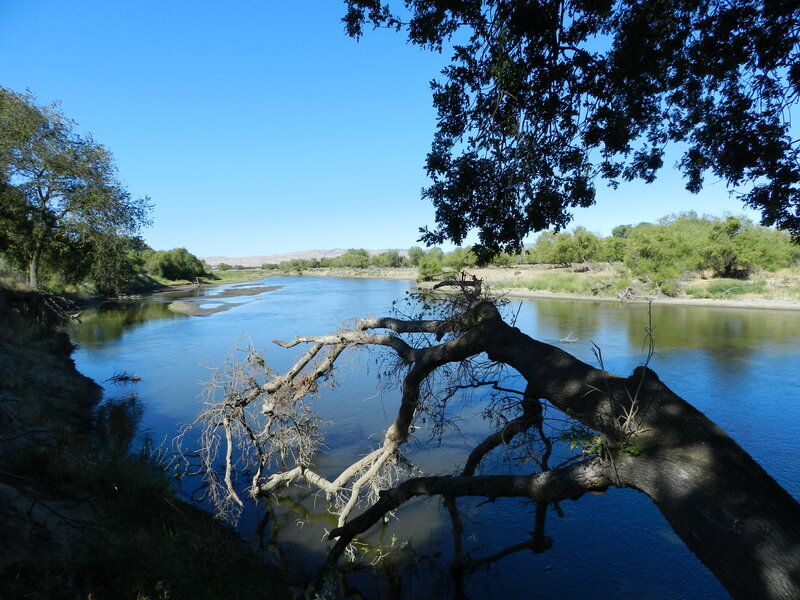 Only an informed and spirited public saved the San Francisco Bay, and only and informed and spirited public will preserve the San Joaquin Valley’s rivers and agricultural heritage.